Last week we touched upon the fact players were playing for their lives to get into the FedEx Cup play-offs, this week those play-offs start. The first event in this 4-event play-off is The Barclays, which returns to Bethpage Black this week. 125 players qualified, but only 122 will tee it up as Sergio Garcia, Danny Willett and Shane Lowry have decided to skip the event. Lowry will be playing in Denmark, looking for a win to get himself a Wildcard pick for Team Europe whilst the other two are presumably resting after the Olympics. This course, designed by A.W Tillinghast has been regarded as an “unfair test” in the past, by none other than Sam Snead. Snead said this after beating Gene Sarazen in an exhibition event in 1940. Since then, Bethpage (Black) has been used for two U.S. Open’s (2002 & 2009) as well as this event in 2012. In 2002 it became the first publicly owned and operated course to host the U.S. Open. What will it take to win The Barclays? Tiger Woods won the 2002 U.S. Open and Lucas Glover won in 2009, two very different winners. In 2012 Nick Watney pipped Brandt Snedeker to win The Barclays. Snedeker got the last laugh though, after he took home the $10m bonus for finishing atop the FedEx cup rankings, thanks to his win at the Tour Championship. Bethpage (Black) is not a regular Tour Stop, and it was setup differently (par 70) for the two U.S. Open’s. As a result it is hard to get a clear indication of what sort of test this is. At 7,468 yards it is fairly long, but you can certainly get round here without being the longest. This was highlighted by Snedeker finishing 2nd and the likes of, David Hearn, Luke Donald and Tim Clark all finishing inside in the top-10 at the 2012 Barclays. Of these four players, Snedeker ended the 2012 PGA Tour ranked the highest in Driving Distance, and he was 110th. Perhaps a better indicator would be looking at other Tillinghast designs. Tillinghast was responsible for, Baltustrol (2005 & 2016 USPGA), Winged Foot (1997 USPGA & 2006 U.S. Open) as well as Ridgewood Country Club. Ridgewood may be the strongest indicator as it has hosted this event three times (2008, 2010, 2014). It cannot hurt to look at players’ form on all three courses, however form at Baltustrol and Ridgewood will be of particular interest. Baltusrol purely because it was used in the last month and Ridgewood because there is three years worth of form to look at. Form at a course designed by the same architect that hosted this event three years in the past should be a good guide. Here are my outright bets this week. Hideki Matsuyama is back to his brilliant best and he looks to be a good putting week away from another win. Often touted a major winner in the waiting, unless he improves on the greens that may not happen soon. Last week, when coming 3rd at the Wyndham Championship he was still a dismal -0.233 in Strokes Gained – Putting. It is obvious where Matsuyama’s issues lie but if he manages a positive Strokes Gained – Putting week he must get in contention here. At Tillinghast designs, he has finished T30 at the 2014 Barclays and T4 at the PGA Championship a month ago . Now that Matsuyama is back to his elite ball-striking self he is once again worth backing. Even after his bad spell, he still currently sits at 4th in Strokes Gained – Tee to green. At a course where there are some tough tee shots and long par-4’s, good iron play will be essential. Simply put, until he misses a cut again he is someone to keep an eye on each week, hopefully he makes another here. This price is just all sorts of wrong. Knox grabbed his second win of the season three weeks ago at the Travelers Championship and he can get his third here. Knox won his PGA Tour title at the WGC-HSBC Champions back in November last year. The win at the Travelers was yet another sign that he is now very much word-class. He became the first Scotsman to win a WGC and will look to become the first to win a FedEx Cup play-off event too. There is absolutely no reason why he can’t go back-to-back, after sitting out last week. When Knox won at the WGC, he finished 2nd a week later at the OHL Classic. He in fact tends to be very streaky. After a 2nd placed finish at the RBC Heritage, he finished T19 at the Players Championship on his next start and then T2 at the Irish Open one week later. 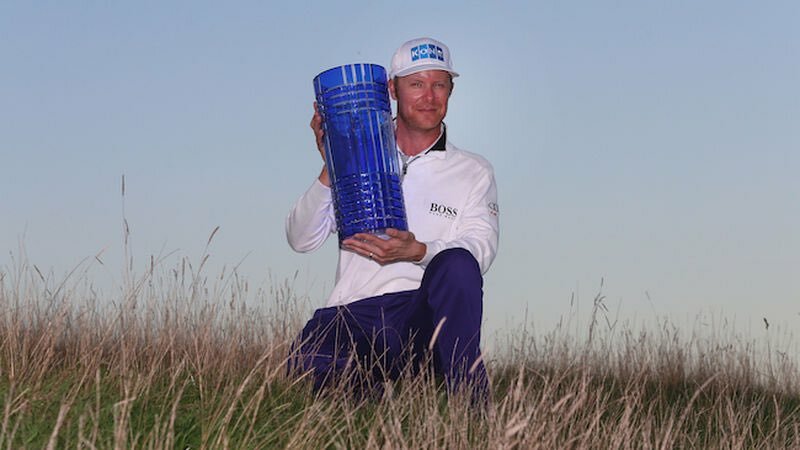 Since disappointing at the WGC- Bridgestone (54th), Knox has finished; T10 at the Scottish Open, T30 at the Open Championship, T22 at the PGA Championship and then won the Travelers. This to me is not the form of an 80/1 shot. To add the icing to the cake, Knox has form at Ridgewood. At the 2014 Barclays, Knox opened up with rounds of 67,69 to lie in a tie for 6th. He faded over the weekend to finish T38 but the first 36-holes are encouraging. Couple that result with the 22nd at Baltusrol and he looks comfortable on Tillinghast designs. Lastly, Knox needs a good week here. Despite his great form this season, he still needs a Captain’s pick for the Ryder Cup. Lee Westwood and Martin Kaymer look set for two of the picks, so Knox will be battling it out with the likes of Graeme McDowell, Luke Donald and Thomas Pieters. For me Knox has to go to Hazeltine, but there are already five rookies on the time, which is why Darren Clarke may opt for McDowell or Donald. Both played well last week, finishing 5th and 2nd respectively, whilst Pieters also finished 2nd in Europe. Should Pieters win in Denmark this week, or the other two perform exceptionally here, Knox is going to be fighting for the limelight. A top-10 or better from Knox here should be enough should the other three fail to win, however he will be looking for the win. His confidence must be sky-high at the moment and the lure of the Ryder Cup can spur him on to a third PGA Tour title. Unfortunately the price has come down (was 150/1, 125/1) before I could get the preview out, but the 110/1 is still worth betting. If Tillinghast form is what you are after, McGirt is the answer. Apart from that sounding very cliché , it is also true. McGirt has finished inside the top-10 at the 2012 Barclays (T10), 2014 Barclays (T5) and the US PGA Championship (T10). For me, this is already enough to back him. For others that still need convincing, here is my best attempt. McGirt did miss the cut last week and this was his seventh missed cut of the season. That is the bad news out the way. The good news is the positives outweigh the negatives. McGirt’s win at the Memorial earlier this year was the first of his career and one that looked likely all season. Before that win, McGirt posted top-10’s at; the Shriners (T8), Sanderson Farms (T2), Honda Classic (T8) and the RBC Heritage (T8). Since the win he also has top-10’s at the WGC- Bridgestone (T7) and the aforementioned, PGA Championship (T10). Seven top-10’s including a win this season and a whole bunch of Tillinghast course form makes him look overpriced at three-figure odds. You are of course betting that he can beat an elite field but I think he can these days. All three of the players above will feature heavily in my line-ups. Matsuyama may look a bit pricey given his up and down season at $9,900. Knox is an absolute bargain however at $7,300 as is McGirt at $6,100. Playing these three in the same line-up leaves an average remaining salary of $8,900 to spend on your next three. This gives you a whole host of options, including taking someone in the $10k+ range, which brings us to our first category. Jason Day is rightly the most expensive player in the field, but I am going to leave him out. There are plenty of viable cheap options this week, which leads me to believe Day will be highly owned. Of course he is more than capable of defending here, but he is only value if he wins. There are so many players playing really well at the moment, it no longer seems like Day is going to win every week. In fact I am going to skip Dustin Johnson as well. Henrik Stenson at $11,700 is my most expensive pick this week. Fresh off a silver medal at the Olympics, Stenson is playing as good as anyone right now. He followed up his Open Championship triumph with a 7th at the PGA Championship as well as that runner-up finish in Rio. Stenson has finished 54th and 9th at Bethpage Black, at the 2012 Barclays and the 2009 U.S. Open respectively. He is a much better player this year than he was on both of those occasions. Next and last up in this range is Brooks Koepka. For $10,100 you are getting the World No.18, who has four top-10’s and five top-13’s in his last six starts. After taking a week off last week, Koepka should be fresh and ready to build on his 4th at the PGA Championship and the Travelers. A win in an event of this magnitude is the next natural step in his career. Many believe however, that he can bypass this and go straight onto winning majors, which I tend to agree with. Louis Oosthuizen is rounding into form at the right time with four top-25’s in his last five starts. At $9,000, it is worth chancing that the South African can replicate or improve on his 5th placed finish at this course and this event in 2012. Given his price I will not own a whole lot of him, as there are plenty of options just above him. Bubba Watson for one is also hard to ignore at $9,100. Watson has not been at his best this season, but has still not missed a cut and managed to finish 8th in Rio on his last start. He also finished 10th here in 2012 and 18th at the 2009 U.S. Open. He was 30th at Ridgewood in the 2014 Barclays and 31st at the 2010 renewal. I picked Jim Furyk last week at $11,000 and he finished 10th, and whilst this is a stronger field, the $8,600 he costs this week is too hard to ignore. He has 3 top-10’s in just 13 starts this year, which includes a 2nd at the U.S. Open. 10th and 5th in his last two starts is great preparation for an event he likes. He has finished inside the top-15 in his last three starts at the Barclays, but did miss the cut on the number here in 2012. His 33rd at the 2009 U.S. Open is hardly inspiring either, but given his current form I think he can improve on these results. Paul Casey can get things started at this range. He is available at a modest $7,800 and looks very solid for that price. Casey has finished 17th and 10th on his last two starts, with the 10th coming at Baltusrol (PGA Championship). He missed the cut at the 2009 U.S. Open and didn’t play here in 2012, but has some form at Ridgewood. Casey finished T22 at the 2014 Barclays, T12 in 2010 and T7 in 2008. He clearly loves this event and the Tillinghast layouts and is in good current form, what more could you want? Fellow Englishman Luke Donald will be looking to give Darren Clarke something to think about. He will be desperate to get in that Ryder Cup side next month and a 2nd placed finish last week did him no harm. Donald came T10 here in 2012 and also played well at Ridgewood in 2010 (T15). At just $7,500 Donald may well be one of the most motivated players in the field. Kevin Na is having an exceptional season and has done everything but win. He has 8 top-10’s, including 3 in his last 6 events. Back-to-back top-10’s at the John Deere Classic (T8) and the Wyndham Championship (T10) heading into this week make him worth the $7,300 outlay alone. Add to this his T22 at Baltusrol last month and his T9 (2014), T36 (2010) and T31 (2008) finishes at the Barclays when on Tillinghast designs, and he looks a great value play. There are so many options at this range, that I am just going to go into detail about my two favourites not named William McGirt. Kevin Kisner performed admirably after a slow opening round at the Wyndham last week. He finished T10 after posting rounds of 70-67-67-63. This was enough to secure his third top-20 in his last five starts. He now has six top-10’s on the season, including a win. Given the form he has found of late, he could go really deep in these play-offs and heads into this week #11. Ricky Barnes looks exceptional value, with top-10/20 up-side at just $5,800. Barnes has two top-5s on his last three starts and very good course form. He finished 24th at the 2012 Barclays but more impressively runner-up to Lucas Glover at the 2009 U.S. Open. It’s his current form that makes the price that much more baffling as although impressive, the course form is based on results four and seven years old respectively. It is all promising nonetheless, given his price. Picking Barnes gives you the freedom to spend big at the other end of the salary cap.